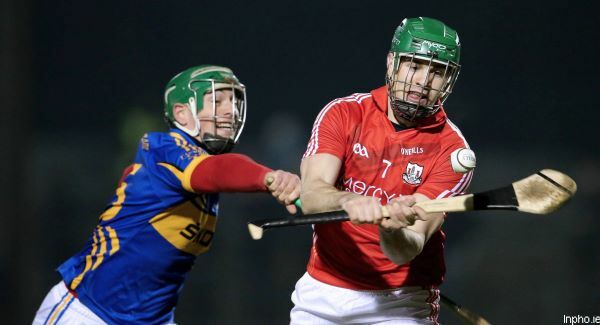 Don’t try to tell Tipperary’s Conor O’Brien that their first-half demolition at the hands of Cork in the opening round of the Allianz Hurling League might in fact have been a positive. Some viewed it as an early-season wake-up call that blew away any feelings of complacency they may have had after the appointment of 2010 All-Ireland-winning coach Eamon O’Shea as their new manager. Since that disastrous 35 minutes (they trailed Cork 0-14 to 0-2 at the break) Tipperary have indeed ‘upped’ it. They went toe-to-toe with Cork in the second half, stopped the rot to keep the deficit to 12 points. They followed that up with a hard-fought win over Kilkenny before hammering Galway 4-22 to 1-20 on Monday. It isn’t that Tipperary are a different team now to that which lost to Cork. It’s more or less the same personnel, the same style, the same game-plan, with one critical change. “It comes down to work-rate and attitude,” reckons O’Brien. “The attitude and work-rate has to be right and once it is you are going to give yourselves a chance. We would be the first to say that our work-rate when we went down to Páirc Uí Rinn wasn’t good enough. That was the attitude that saw them chisel out the win over Kilkenny, that too was the attitude that saw them finally put Galway to the sword, having weathered two good fight-backs from the home side. “Galway are in the top two in the country, themselves and Kilkenny, so we knew going up that we had to get a performance out of ourselves or we weren’t going to get the two points. Next up for O’Brien and Tipp is a visit to Waterford on Sunday. The Déise will be trying to get their own league campaign back on track, having lost to Kilkenny on Sunday. With Cork losing to Clare it means there are now just two points between top (Clare and Tipperary) and bottom in division 1A of the league, still all to play for with two rounds remaining.